It’s been over a week since we had any club football so let’s have a quick look at what we’ve learned from this ‘enforced’ break. England can’t hold onto a lead – after watching the England cricket team huff and puff for most of the day until the last couple took their place at the crease, I then went on to watch the England football team huff and puff and throw away a one-nil lead. When Marcus Rashford scored I thought ‘we’ve just got to hold on now’ which we did for a whole two minutes. And, if I’m being honest, I haven’t much idea how this new UEFA Nations League competition works but I do agree it’s better than playing friendly games when you’ve players coming on and off the pitch all the time. Rotherham United’s own Semi Ajayi became the latest Miller to get an international cap. Semi had previously played for the Nigerian U20’s side but at the weekend got his first ‘first team’ cap in their three-nil win over the Seychelles when he came off the bench for the last quarter of an hour or so in the African Cup of Nations qualifier. The Millers Academy player Tyrone Lewthwaite scored a hat-trick for the U19’s Northern Ireland squad against Slovakia – well done young man! For the Millers players who weren’t on International duty they had a rare weekend off with some going home and others having a couple of days in the sunshine. Unfortunately for defender Sean Raggett he had to go under the knife having surgery on an ankle injury he picked up last time out at Wigan which forced him from the pitch after just twenty minutes. Get Well Soon, Sean. This coming week it will be back to the grind stone for most of the squad. 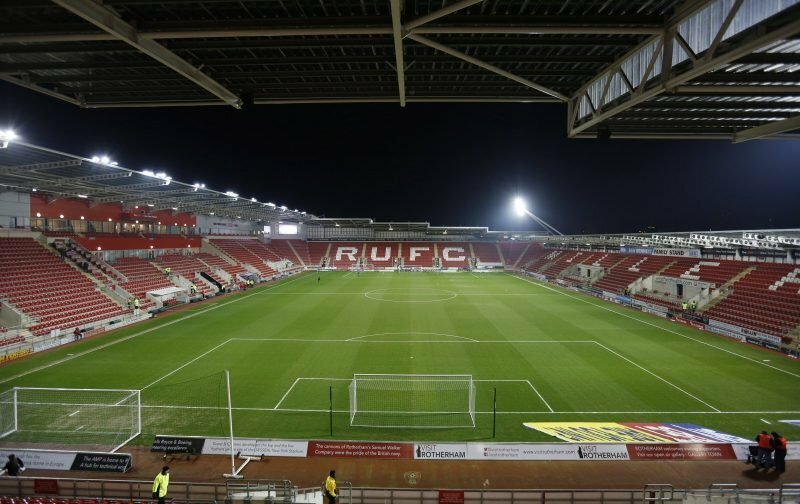 It’s a busy week for Rotherham with a home game against Derby County who seem to have found their winning form after a couple of early losses then it’s two away games, firstly a mid-week visit to Villa Park then a short trip to Nottingham to take on Forest, who, going into this weekend are one point and one place above the Millers. The first month of the Championship has gone – and I think we are about where we should be (and hoped to be) in fifteenth place with a Cup win under our belts and an away performance at Goodison Park against Premier League side Everton that did the travelling fans proud. Onto the next phase and let’s enter it with optimism and raise the roof against Derby on Saturday who will be filling the away end with their supporters.